Council bin lorries are helping to drive home the message that more needs to be done to increase the amount of food waste that goes for recycling in Moray. 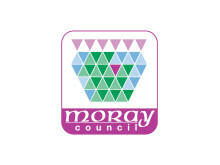 Moray has climbed to second place in the Scottish league table for household recycling. Operations at the Keith recycling centre in Balloch Road are to be temporarily relocated to the adjacent council DLO site for three weeks from Monday, September 12. 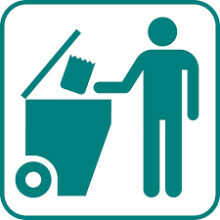 As much as 51% of green bin contents can be recycled, costing taxpayers £1.2 million a year in landfill taxes. Recycling assistant Donnie Mclean next to the 'Beast' shredding machine. 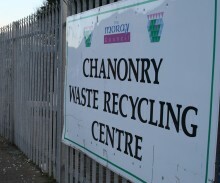 Youngsters in schools all over Moray have been given acting lessons on how to dispose of household waste responsibly. A range of waste management operations could be centralised at Moray Council’s existing site at Moycroft in Elgin.